RFID, or radio frequency identification, use electromagnetic fields to track an object and its data, much like a microchip in your pet can identify who it belongs to or your toll tag beeps when you drive through the booth. 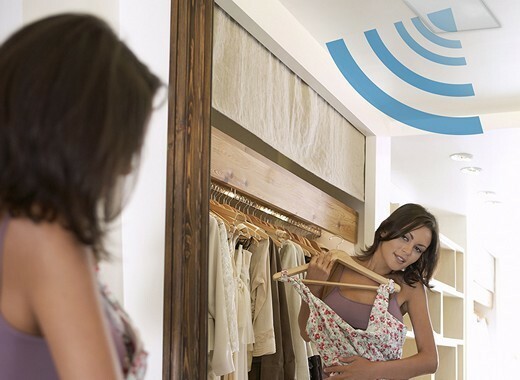 In a retail environment, RFID tags can track stock from point of origin to store – and where it goes after it’s sold (or, in some cases, stolen). A complete RFID solution will ensure stock is easily traced and able to be located. For example, if an un-deactivated item passes through a security gate not only will an alarm sound, but staff are alerted to what item they are looking for by way of the security labels. And RFID tags can be hidden in the most unlikely places, deterring theft and fraudulent activity. Only when it passes a deactivator will the tag cease to sound an alarm – and with better quality RFID systems such as Sensormatic®, false alarms are minimised through superior technology.